WILDVolunteers are at the heart of what makes Wildwood special. From gardening to event help, the Park encourages you to join the Wildwood family! Complete the form below to receive up to date information about upcoming volunteer opportunities. You can also contact the Volunteer Coordinator directly by calling 501-821-7275. Bill Toland is a Master Naturalist that has helped to oversee and create Wildwood trails, including the Nature Trail and the Wild 40 Trail. 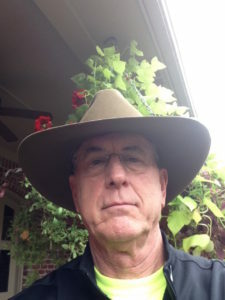 He plays an important role in gathering volunteers from the Central Arkansas Master Naturalists to lead the Jr. Master Naturalist Spring Break camp for children who are interested in learning more about nature, outdoor safety, and hiking! Team Wildwood is so grateful that Bill chooses to support Wildwood by lending his kind spirit in a multitude of ways to grow and maintain Wildwood’s outdoor spaces. When did you begin volunteering at Wildwood? A Master Naturalist friend of mine started to work on a nature trail at Wildwood a few years ago. I joined him in this effort and been there ever since. Why do you choose to volunteer at Wildwood? It is close to home, so local volunteer opportunities come first. It also involves a lot of outdoor projects that fits the type of activities that I enjoy the most. What has been your favorite event/concert/festival to volunteer for at Wildwood? Most of the volunteer work has involved trail work and habitat restoration not to mention cleaning up storm damage. So all events would have benefited. However my favorite event is the Lantern Festival. What is your best piece of advice for new volunteers? Don’t wait, get involved now. Very flexible working hours and activities from which to choose. Danny Wood has been a vital WILDVolunteer since 2006. Danny works at Windstream and enjoys spending time with his family. He has volunteered many hours for a wide variety of events at Wildwood, including: LANTERNS!, Holiday Tour of Homes, Wine & Food Festival, Vine & Dine, and a slew of special performances. 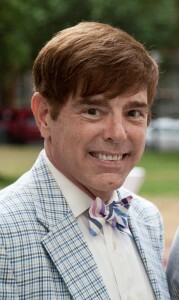 He is usually looking dapper wearing a bow tie and ready to serve our guests with a smile and a kind word. Team Wildwood, along with many other arts organizations, is grateful to count Danny Wood among our wonderful and reliable volunteers. Danny was the WILDVolunteer of the Year in 2013. To the best of my recollection I began volunteering around 2006. I live North of the River and had thought Wildwood was just for Opera, so I have missed out on some really wonderful events due to my own ignorance! I found out about this treasure when Wildwood was seeking volunteers in an email from The Rep where I have been a longtime volunteer. I had no idea the Park was so beautiful and had never really thought about festivals. Boy, did I discover the many wonderful events, performing arts, artists, music, etc. that are associated with Wildwood! Not all of us can write big patron checks, but what we can do is give of ourselves. Our time does translate into money as non-profits could not survive without volunteers. Being a WILDMan allows me to serve the arts and the community that I dearly love. I volunteer for other organizations but Wildwood makes me feel like I am part of the Wildwood family! My favorite event was a collaboration between The Rep and Wildwood for a Shakespearean play. The production was outside in front of Swan Lake and some actors come in by boat! The backdrop and scenery was a wonderful mix of modern steel and fabric and lighting transformed the production into a magical experience! Guests brought chairs or blankets and sat on the lawn. We also had to option of a delicious box dinner! And of course, wine! I always try to treat members and guests as I think we all should be treated! Always be grateful for the opportunity to serve others. Remember no job is too small or too big that team work can’t accomplish! Will has volunteered at Wildwood since his freshman year of high school in 2012. He has supported Wildwood’s LANTERNS! Festival volunteering quite a few hours of his time for prep days and event days. Will recently volunteered at the Art in the Park exhibit featuring work by Nancy Nolan and in the box office with the impeccable performance by The Vienna Boys’ Choir. 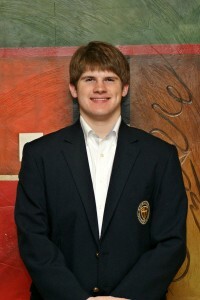 Will is a senior at Episcopal Collegiate and is one of four seniors recently named National Merit Semifinalists. Will is an excellent WILDVolunteer, willing to step in at a moment’s notice with a calm presence and get the job done. We are so thankful to have Will as a WILDVolunteer! I began volunteering at Wildwood in 2012, my freshmen year in high school. Wildwood has great scenery, amiable staff, and fun events. Whenever I volunteer at Wildwood, there is more of a sense of accomplishment than other opportunities, because I can always see the results of my efforts either on the stage or around the park at events. To new volunteers at Wildwood: Put effort and enthusiasm into your work at Wildwood. Volunteering is always more enjoyable when you have a positive attitude. Since 2015, the Arkansas Chinese American Association (ACAA) have provided and organized all volunteers and many of the educational, entertainment, and culinary aspects of the Asian vista. Part of their mission is to promote the appreciation of Chinese culture and heritages and enhance cross-cultural understanding through educational, social and cultural programs. Wildwood has enjoyed the community that ACAA provides to create a more authentic Chinese experience at their vista throughout LANTERNS! 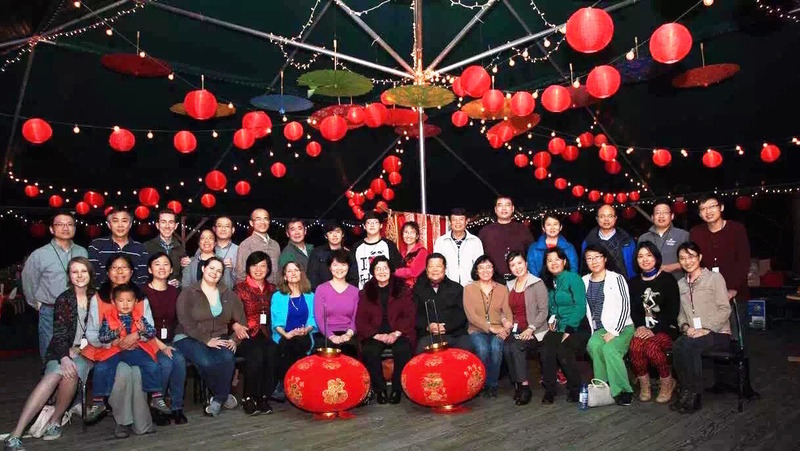 The Arkansas Chinese American Association (ACAA) first became involved at Wildwood during the annual LANTERNS! Festival in 2015. We believe that volunteering at Wildwood helps to make our community more beautiful. Our favorite event at Wildwood is the LANTERNS! Festival. Group volunteering is an excellent way to learn more about each other and build up a sense of team while serve your community. 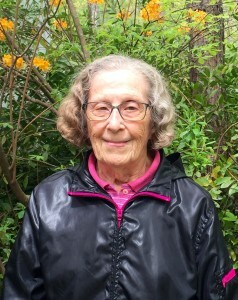 Bonnie Gatliff can often be found at Wildwood serving in the administrative offices, gardening, or assisting with event preparation and clean up at least once a week. She has assisted with all of Wildwood’s events, including Wine & Food Festival, Vine & Dine: Wine Reserve Dinner, LANTERNS!, Holiday Tour of Homes, and more! Bonnie provides a constant and consistent volunteer presence at Wildwood through her acts of service and Team Wildwood is so grateful to see Bonnie’s sweet smile each week. I started volunteering in 2009. I choose to volunteer at Wildwood Park for the Arts because it brings me satisfaction that I may be helping to sustain the Park for the enjoyment of thousands of people who visit each year. Also, it brings me joy as the beautiful surroundings remind me of our former home. My favorite event is the Winter Festival – LANTERNS! My best piece of advice for new volunteers is to just jump in. You will be amazed at what this staff can pull off with your help.